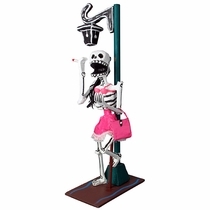 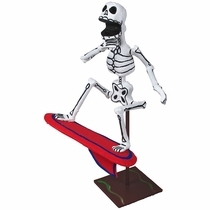 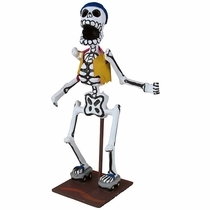 These Day of the Dead action skeletons are available in a wide variety of activities and poses. 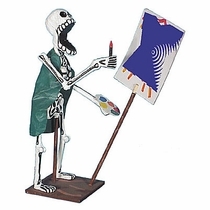 The skeletons are constructed of paper mache and hand painted by the artist. 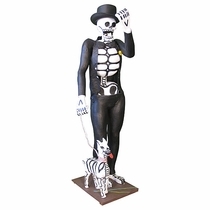 Each skeleton sculpture is its own unique piece of art and may vary in detail from the photographs shown here. 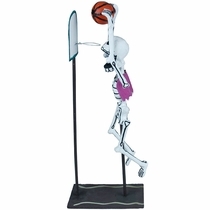 Sizes vary according to activity. 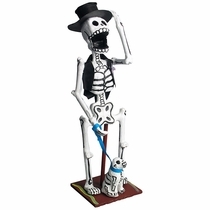 They stand approx. 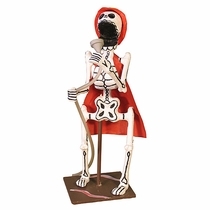 12" to 18" tall and come on a wooden base. 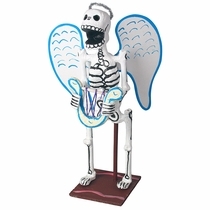 Our Day of the Dead action skeletons make great personalized gifts. 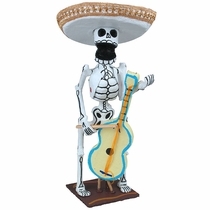 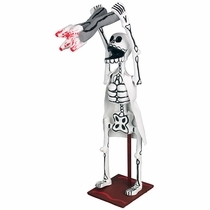 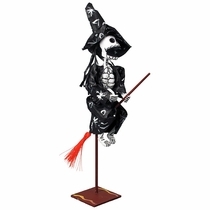 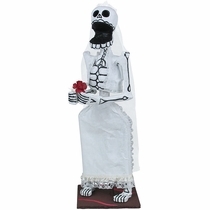 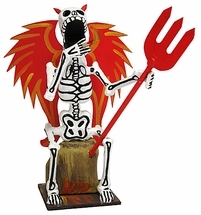 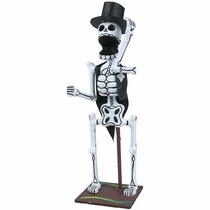 All of our Day of the Dead action skeletons are authentic Mexican products handcrafted by folk artists in Mexico. 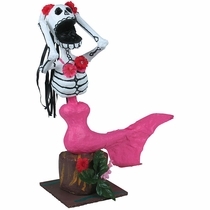 Click on the items below for more information and ordering.